Innocence sees himself as a change agent. He grew up in an Evangelical Presbyterian Church orphanage in South Sudan. He was transformed from a little boy who had no parents, home, or future to one who has found hope and is following Christ. He was named the number one secondary school student in all of his country, and is now also pursuing his college degree. 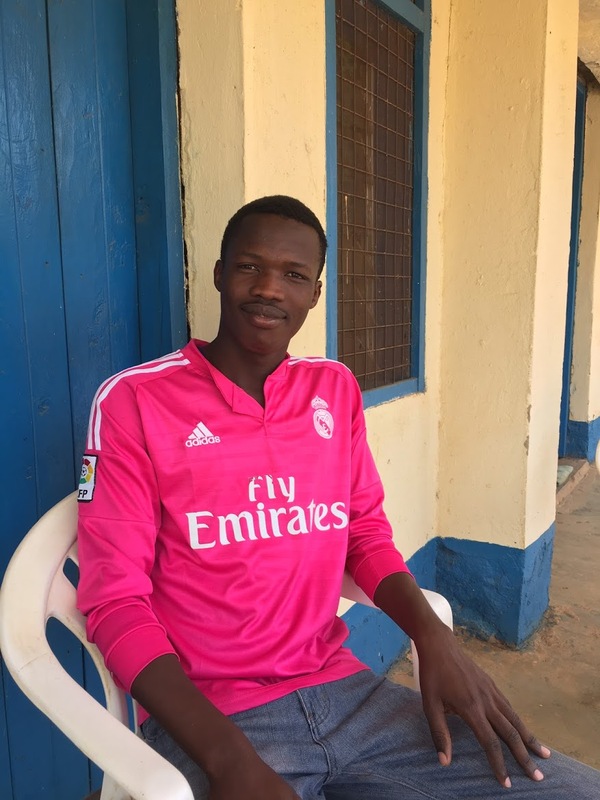 His plan after graduation is to return to South Sudan because he “strongly believes” that he will be a part of rebuilding his country in the name of Christ. His Voice Global has supported Innocence for over ten years and will continue to support him. Innocence is a great example of what His Voice Global is all about. Even though the challenges in countries we serve are great, we know that God has a plan for restoration. We know that He is raising up the disadvantaged, like Innocence, who will be a part of renewing their countries. Our partnership with orphans, vulnerable children, widows and church leaders comes from our deep desire not only to see them flourish, but to see the renewal of their communities as well. A key component of our Vision Statement, “Relationships Restored. Communities Renewed” is that we expect to see both personal and public transformation. We address both through our indigenous partner relationships and programs. This “both/and” transformation is how God uses His children to participate in the redeeming and restoring of His creation. A primary goal of His Voice Global is to restore relationships by providing a reproducible Circle of Care for each community we serve to support the development and growth of those served. From the heartbreak of the broken family to the reunification of family with community. From the uncertainty of abandonment to the safety of housing, care, and education. From the hopelessness of unemployment to the satisfaction of knowing and using a useful trade. This is our desired circle of care. We invite you to participate by praying for us in this endeavor as we seek the Lord’s direction. We appreciate your support as we help others help themselves by the power of God’s great love. Should you feel led to join us in support of His Voice Global and this effort, just click the link below and select “Where Most Needed” in the drop down list.